Having broken away from Citroen in 2015, DS Automobiles (with DS-badged products) is now an independently operating premium arm of PSA Group. This makes sense, because 10% of the global overall market is premium cars that account for 34% of the profit. Starting a new brand is hard work. Launching with dual-branded products in 2009 was never the end-game. Now, DS products benefit from their own manufacturing and engineering and share core aspects of the all-new CMP (Common Modular Platform) and larger EMP2 (Efficient Modular Platform) with improved variations to its sister brands. Sales have fallen since launch, but this was to be expected with an effectively ageing product line-up – with some 100,000 sold at launch, down to little more than 50,000 in 2017. That’s not where this story ends, but rather begins. 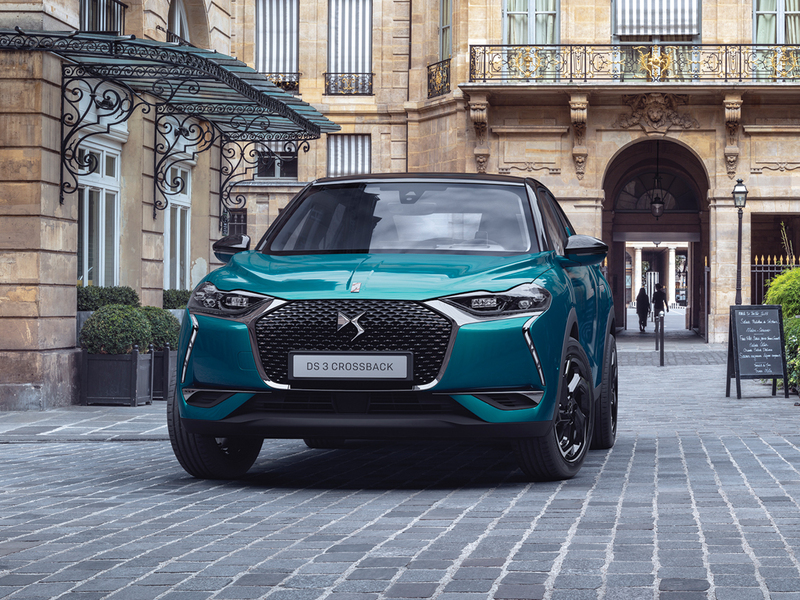 DS has begun its new second-generation product offensive and is capitalising on the latest cutting-edge platforms the Group has to offer. 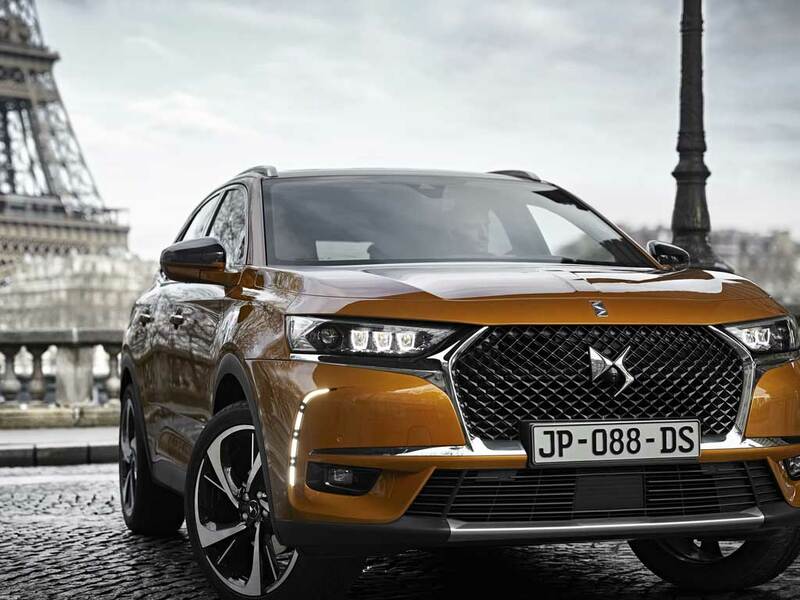 With a strong global appetite for premium SUVs, this began with the DS 7 Crossback launching into the premium C-SUV sector and serving as its European flagship, followed by the DS 3 Crossback that will effectively supplement the popular hatchback with a premium B-SUV. Not only has DS launched these two new products in two years, but the brand will serve as premium flagship pioneer for the PSA Group as a whole, with characteristic features such as active LED lights and retracting door handles set to only appear on DS models, while other equipment including the latest autonomous tech and in-car gadgetery. will first appear on DS cars. DS has been a long-time supporter and team in the Formula E Championship. Like most carmakers, the brand has adopted an electrification strategy that will see all DS built from 2019 offered with a form of electrification, either plug-in hybrid or electric – skipping full and mild hybrids. 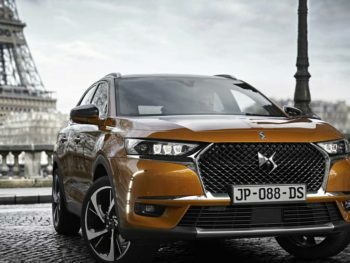 The first of the PHEVs will be the DS 7 Crossback E-Tense 4×4, while the DS 3 Crossback will be proposed with an E-Tense full battery-electric version at launch. From 2025, the brand intends to only offer new designs with electrified models, dropping unassisted internal combustion power altogether. Powertrains are expectedly premium, with the PHEV models available all-wheel drive and high efficiency/ performance, while the battery-electric (BEV) models are aimed to be “no compromise” when compared to their petrol/diesel counterparts on packaging, space, spec and performance. With the first two new DS models already enticing fleets towards its showrooms, DS has plans for a six model line-up. The company has also moved to a franchise separate from Citroën, with plans to expand these retail and fleet outlets in number almost exponentially, to an expected 500 worldwide by the end of 2018, rising to 800 between 2019-20. Similarly, the company is recruiting heavily, with its proprietary DS Academy training a small army of Expert Advisors to professionally assist premium-minded customers. It’s here that DS has really put a lot of effort into market studies and found that, for example, in Europe a premium customer spends 7.2 hours researching before buying and 80% watch videos about the product, whereas for a non-premium car it’s roughly half that. DS, therefore, is keen to capitalise on the latest technology including its ‘DS Virtual Vision’ that gives customers the chance to explore in minute detail the full range of DS products, with interior and exterior of their car in a life-size high-definition 3D world. The lasting impression is that DS is here to stay. Although its recent sales figures tell one story, the company was prepared for this and PSA knew launching a new brand into a highly competitive market wouldn’t be easy or quick. It was ready for this and has put into motion the steps to continue long into the future. Unlike other premium brands that have turned around of late (Jaguar, Volvo), or found almost accidental or haphazard fame (Tesla), DS benefits from starting afresh with a long-term plan, clear strategy and consequently should be high on fleets’ watch lists.